Assure A Smile congratulates the World Alliance for Mercury Free Dentistry on 3 years of progress toward achieving mercury-free dentistry worldwide! Founded in part by Consumers for Dental Choice, the Alliance has fought hard since 2010 for the phase-down and eventual ban on dental amalgam usage. Assure A Smile is a proud member of the Alliance, and we share the organization’s excited sense of accomplishment with this historical milestone. Together, we will continue to spread awareness for the toxicity of dental amalgam and the long-term damage it causes to the health of patients, dental professionals, and the environment. Known to most Americans as “silver fillings”, dental amalgam is a metallic mixture that is notorious for containing upwards of 50% mercury content. A reported 50 million dental procedures are conducted with amalgam each year, despite the fact that the American Health Association and the FDA recognize mercury as a known neurotoxin. To make matters worse, patients often receive dental amalgam during routine procedures without informed consent. When improperly disposed, mercury may cause irreparable and sometimes fatal neurological damage to animals and ecosystems. Particularly endangered are fish and other aquatic wildlife, since rainwater often floods mercury deposits through the ground and into ponds, lakes, and coastal regions. The U.S. Geological Survey reports that an overwhelming 40 states have issued advisories for mercury on selected bodies of water, indicating hazardous conditions that make the water and its contents (like fish) unsafe (i). 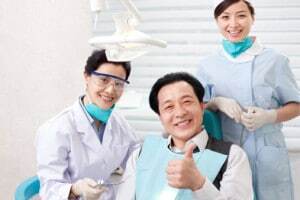 According to the World Health Organization, dental amalgams expose patients to high levels of mercury vapor that significantly exceed what is considered “safe” for food and air standards (ii). Upon inhalation, mercury vapor travels to the lungs and is absorbed into the bloodstream. From there, it circulates throughout the body and may cause severe neurological damage as well as damage to the nervous system, immune system, and digestive tract. Patients are not the only ones at risk. According to the World Health Organization, “Amalgam may represent an occupational risk” for dentists and hygienists due to the vapor it may emit during procedures (iii). Informed consent occurs when a patient agrees to a procedure only after all important facts, implications, and future consequences are disclosed. Alarmingly, a reported 76% of patients who receive an amalgam procedure are not informed that the metallic substance is mostly mercury, nor are they informed of the potential long-term health risks (iv). Perhaps the biggest reason to support mercury-free dentistry is that healthier and safer alternatives to dental amalgam are available. Equally as effective, these alternatives include resin composites, compomers, and glass ionomers. In 2012, the New York University College of Dentistry banned dental amalgam from all clinics and removed it from students’ curricula, an unprecedented move that demonstrates just how unnecessary amalgam has become (v). As a holistic dental practice, we believe patients have the right to be informed and educated on the materials that are used in their dental procedures. We stand with the World Alliance for Mercury Free Dentistry and remain committed to delivering only the safest and highest quality of service to our patients. Our practice specializes in safely removing and replacing dental amalgams. We take every precaution necessary to ensure patient safety, and we utilize environmentally friendly disposal methods to do our part in waste reduction. For more information, readers are invited to contact us online or call our practice directly at 305.274.0047. Readers may also visit the following page to learn more about mercury filling removal in Miami. (i) “Mercury in the Environment.” U.S. Geological Survey. Accessed February 26, 2013. (ii) “Exposure to Mercury.” Pg. 3. World Health Organization. Accessed February 26, 2013. (iii) “Mercury in Health Care.” Pg. 1. World Health Organization. Accessed February 26, 2013. (iv) “Top Ten Reasons to Support Mercury Free Dentistry.” ToxicTeeth.org. Accessed February 26, 2013. (v) “NYU Goes ‘Amalgam Free.’” The Blog of the American Student Dental Association. Accessed February 26, 2013.